Mortgage closing and post-closing are one of the most important steps in the entire mortgage process and are often overlooked. One of the major repercussions in wake of the financial crisis is increased scrutiny bearing on all aspects of the mortgage industry. We have heard about reported scandals, consumer violations, and outright fraud exposing various abuses to mortgage lending policies and breaches in procedure which have reached epic proportion. Public demand for change has resulted in unprecedented government intervention. For good or bad, additional regulations and even more increased paperwork are here to stay. The entire mortgage loan process is affected from start to finish, not the least of which is the mortgage loan closing process which culminates on 'closing day' as the climax of the loan process and then continues into the post-closing wrap up. The first step is to collect all the information about the buyer and the lawyer. It is important to check that the lawyer is licensed to practice in your state. The next step is to obtain all the documents required which include the most recent copy of the sales contract, trailing documents from all parties like trust deeds, tax records, modifications, judgments, UCC records, etc. Make sure that loan is assumable as per the records and if it is then prepare an assumption agreement by requesting for a loan assumption package. 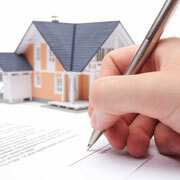 Also obtain the exact legal description of the property in consideration. Get the commission split verified with all the parties and get photo identification of the parties who are involved in the last- day closing process. Check if there was a property survey ordered and if it was completed on time. The closing package must include a copy of the property appraisal and contract. One should check if all the clearances are received including clearance on gas, oil, minerals etc. In case there is a septic tank, then it is important to get a certificate from the health department. Make sure that all the parties involved in the final closing process are informed about the time and date and also if there are any last minute changes. A complete check of the loan application must be made and it should be thoroughly checked for correctness and accuracy. All the underwriting documents need to be checked and re-verified for completeness and correctness. The underwriter's decision is checked which supported the loan application. All the third-party data analysis tools are verified and also the verification of property eligibility, appraisal, mortgage insurance documentation, project eligibility, etc. A final check on all the rules and regulations laid down is done to check if it is compliant with federal, state or local agencies. Mortgage back office work requires broad nationwide expertise, a reliable and efficient processing system, large scale imaging and automation capabilities, and strict management controls. It also needs to be achieved at low cost without sacrificing accuracy and reliability. Increased scrutiny from auditors and ever changing regulations has intensified management responsibility and accountability over this area. For example, if examiners are presented with unorganized files or files with missing documentation, or if there are delays in locating files, the lender may experience an unfavorable audit which could lead to fines or costly loan repurchases. Organized, well documented files and quick responses to auditor's requests indicate to the examiner that "this lender pays attention to important policies and regulations". Outsource2india has been providing the best in the industry mortgage closing and post-closing services to clients around the world for almost 20 years now. By partnering with an experienced mortgage service provider like Outsource2india for closing and post-closing, lenders can free up vital resources and redirect efforts toward more profitable channels of business. Putting your closing and post-closing units into competent cost saving hands will improve your ability to service customers and better satisfy auditors and investors. If you have any kind of mortgage closing or post-closing service requirement or have any doubts in the guide to post-closing process, feel free to contact us and we will be more than happy to help you out.